The Marine Biological Laboratory (MBL) is offering an opportunity for journalists from around the world to be part of the The Logan Science Journalism Program 2019. This program gives professional science journalists, writers, editors, and broadcast journalists a chance to forget about story deadlines and immerse themselves in the process of basic biomedical and environmental research. Biomedical Hands-On Research Course: This program plunges journalists into the fascinating world of biological research in one of the most dynamic settings for scientific discovery in the world. Learn about the science at the heart of your stories by doing it alongside scientists at the MBL. Please see the program description and 2019 preliminary schedule. 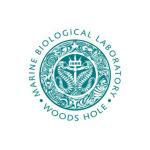 Environmental Hands-On Research Course: Participants experience field and laboratory science immersion at the MBL in Woods Hole, Massachusetts, a world center for marine, biomedical, and environmental science, and at an environmental field research site on Cape Cod. Please see the 2019 program description and preliminary schedule. Chicago Fellowships: Up to four fellows will be selected to spend an additional four days at the University of Chicago in the fall of 2019. The Chicago Fellows will attend the Science of Innovation Summit, which is designed to expose journalists to the inventions likely to positively impact human life and our planet a decade from now. Applicants must be professional science journalists, writers, editors, or producers with at least three years experience. Preference will be given to print, online, radio or broadcast journalists who do not have significant prior scientific research experience. A basic knowledge of biological principles and methods is advantageous, but is not essential. Journalists who previously participated in the Biomedical Hands-On Research Course are eligible to apply for the Environmental Hands-On Research Course, and vice versa. Applications from minority group members are strongly encouraged. Applications from foreign nationals are welcome, although if accepted into the program, the fellow will be responsible for paying a fellowship tax for foreign nationals. Financial support for Logan Science Journalism Program Fellows includes travel to and from Woods Hole, housing, meals, and all costs associated with the Hands-On Research Course and other program activities. Fellows from other countries are responsible for paying fellowships taxes for foreign nationals. Support for Chicago Fellows includes travel to and from Chicago, housing, meals, and costs associated with the summit.